Scandal-ridden security giant G4S will confiscate smartphones from shareholders and journalists at its AGM in London after activists used them to film their violent removal by security staff at last year’s event. The blanket ban, which includes staff and board members, comes a year after activists, who bought shares to attend the meeting, staged filmed interventions. The footage later appeared in the UK media. A spokesman for G4S told the Guardian newspaper: “Last year we had a large number of protesters who were effectively staging demonstrations in the meeting and they were filming it. The meeting will take place at the Excel Centre in London on Thursday and Friday. The company has been wracked by numerous scandals, including its failure to meet the contracted security needs of the 2012 London Olympics, causing the military to be drafted in, and it’s supplying of CCTV and scanning equipment to Israeli prisons. In March, it was revealed that G4S revenues from emerging markets overseas grew by 7.7 percent, with developing countries accounting for almost one-third of the UK firm’s business in 2014. G4S’s shift in focus to developing countries is evident by the spike in income from Latin American countries, which leapt by 11.8 percent in 2014. 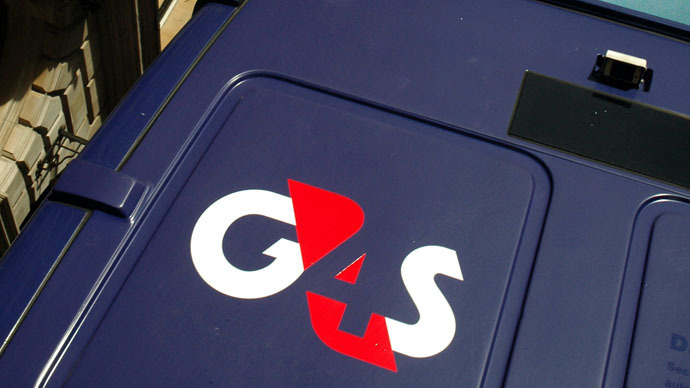 G4S remains a controversial player in the security sector. Activists accuse it of turning a blind eye to overcharging, cost-cutting, negligence and human rights abuses. Corporate Watch keeps tabs on G4S, publishing many of the accusations levied against the security giant.